There are several types of companies that our Clients can set up, the most common ones being the private limited company (LLC), branch office and representative office. This entity can be incorporated within one week without the need for our Clients to visit Singapore or contribute any share capital. However, at least one of the company’s directors must be resident in Singapore. General purpose – A private limited company fulfils the needs of almost every application for doing business either within or outside Singapore. These entities have low administrative requirements and can be turned to almost any use as long as share liquidity is not required. These attributes of a Singapore LLC makes it ideally suited for use as a subsidiary or as an entrepreneurial vehicle. Singaporean companies can be used as private wealth vehicles to manage family assets. Visit Healy Consultants Group PLC’s page on family wealth vehicles to learn more and compare different structures that can be used to run a family office. Branches are treated as non-resident for tax purposes. This means that they do not benefit from Singapore’s double taxation avoidance treaties, nor the tax incentives for new companies. Not recommended – Although there are some limited advantages to using branches in other jurisdictions, including: i) being a cost-effective way to incorporate business in Singapore, and ii) the branch profits earned can be repatriated without paying any taxes. However, Healy Consultants Group PLC recommends incorporating a local company rather than establishing a branch in Singapore. Since the company has no minimum capital requirement, limited liability, and allows 100% foreign ownership in all fields, the traditional benefits of a branch do not apply. No time is saved in registering a branch either, as incorporating a Singaporean company can be done under a week. Market research – If your business wishes to send a small delegation of staff to investigate the Singaporean market, a representative office is a good short-term solution with simpler financial reporting than for a company. For other activities or long-term establishments in Singapore, a company is usually preferred due to greater flexibility in the activities it can carry out and more freedom to generate value for the business. For more information about this business entity, refer to our Singapore free zones page. International Trade – A free zone company is generally used by trading companies that need to import products into Singapore for further processing and then export the finished goods to other countries. The Singapore fast solution is recommended for our Clients who immediately need a local company to close deals or sign contracts in Singapore. For more information, refer to our webpage on LLPs. Professional services – An LLP is generally recommended for firms providing professional services including accounting & tax services, consulting services and legal services. Not recommended – GPs and LPs are not recommended to our Clients as they expose the partners to personal liability for all damages and losses. Instead, our Clients should either choose an LLC or an LLP. An investment company will allow our Clients to pool their investors’ capital and invest this money on their behalf. However, this business activity will require the owners of the company to file an application with the Monetary Authority of Singapore (MAS). For fund management, the application will take one of the two forms: either as i) an application for a registered fund management company or ii) an application for a Capital Markets Services license. Registered fund management companies are limited to 30 accredited or institutional investors, up to 15 of whom may be other funds invested in by accredited individuals. Investors qualify as “accredited” under Singapore’s Securities and Futures Act if they have either i) net assets of more than S$2,000,000 or ii) annual income greater than S$300,000. There is a cap of S$250,000,000 on assets under management for this kind of fund manager. CMS-licensed fund managers must maintain core capital levels of at least S$250,000, of which at least S$100,000 must be deposited with the MAS. Annual audits are required to ensure that this and other compliance requirements are met. All registered and licensed fund management companies must have two directors resident in Singapore with at least 5 years’ experience in financial services to establish a track record. They also require two local employees, one of whom must be the CEO and the other an Executive Director, with each of these staff having at least 5 years’ experience. If the CMS-licensed manager has authorization to work with retail investors, a third staff member is needed and the CEO requires 10 years of experience. By requesting Healy Consultants Group PLC to register their Singapore company, our Clients do not have to travel to Singapore to start their company. Our Firm will indeed complete all procedures for incorporation on their behalf. Please refer to the section below for further details on the steps to setting up a company in Singapore. Document preparation: Next, our Singapore Incorporation Team gathers all the documents required to complete the incorporation, assisting our Clients to complete and authenticate all necessary papers and submit them in a timely manner. Incorporation approval: Within 3 days of submission, the business entity will be incorporated. Following Singapore company registration, our Firm immediately emails our Client with the certificate of incorporation and company extract (view sample of a business profile). Registration completion: Following the receipt of all necessary approvals and documents, Healy Consultants Group PLC couriers a full company kit to our Client, including original corporate documents, unopened bank correspondences, and lastly a Client feedback survey to make sure that all the Client expectations were met during the entire engagement period. Notifying the company secretary of any changes in the corporate structure (directors, shareholders) and beneficial ownership. Refer to the Singapore accounting & tax, legal and compliance considerations page for more information. Almost all industries in Singapore are fully open to foreign investors, without them being subject to higher paid-up capital amounts, licensing obligations or other extra requirements compared to locals. 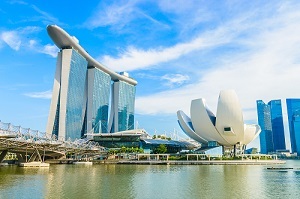 Foreign businessmen can also manage their Singapore company from overseas: while Singapore authorities require all locally incorporated companies to have a resident director, they allow foreigners to appoint a professional passive nominee to comply with this requirement. Other directors can live overseas and Board meetings do not need to take place in Singapore. Foreigners living outside of Singapore? Why is it requested for foreigners? How to set up a company in Singapore? Upon receipt of the documents, our Firm registers the company, usually within three business days or less. Our Client mails us hard copies of all KYC documents and signed forms over the following month. I want to set up a small business in Singapore. Should I use a sole proprietorship or private limited company? We recommend that our Clients set up a company rather than a sole proprietorship, as all qualifying start-up LLCs enjoy tax rebates on profits in the first three years. A 100% tax exemption is possible on the first SG$100,000 and 50% tax exemption on the next SG$200,000. The LLC also limits the owner’s losses in the event that the business fails, since the company’s debts are not attributable to the shareholders. Incorporating a company also simplifies international growth in the event that the business succeeds. How can a foreigner register a company in Singapore? Apply for specific business licenses, if required. The rules might vary for different entities; however the basic incorporation steps apply. Why incorporate a company in Singapore? Singapore is a low-tax jurisdiction with government incentives to benefit foreign entrepreneurs. Furthermore, it is possible to engage in offshore company incorporation in Singapore, which can be legally 100% tax-exempt. Am I required to travel to incorporate a Singapore company? No. Our Clients will not be required to travel to complete the incorporation process. What is the cost to register a company in Singapore with a corporate bank account without travel? To register a company in Singapore for a foreigner, according to the ACRA guidelines, the costs of name application and company registration amount to around SG$315. To this you need to add the costs of ordering the Certificate of Incorporation and the company stamp, which will amount to an additional fee of approximate SG$80. Once the company is registered and depending on the business activity, there will be several banks that will be ready to onboard the company. However, each bank has different deposit and maintenance requirements. A standard package is offered by Healy Consultants Group PLC for Singapore company registration services without travel. The package is inclusive of everything from company formation, multi-currency corporate bank account opening, resident director services, corporate secretary and local registration address and the government fees. Can a foreigner set up a private limited company in Singapore? More information on the procedure and required documents from a foreigner setting up a business in Singapore can be found on our website. Can a foreigner set up a sole proprietorship in Singapore? Yes, foreigners can register a sole proprietorship in Singapore, if there is an authorized resident representative of the business. The foreign owner can either appoint a Singapore citizen to be the resident representative, or they can become a resident in Singapore by becoming an Entre Pass holder. What are the advantages and disadvantages of a limited private company in Singapore? Below is a list of advantages and disadvantages of a limited private company in Singapore. Higher likelihood of availing loans from banks. What are the options for foreign companies to register in Singapore? There are four options for foreign companies to register in Singapore: they can set up a branch office, a subsidiary, a representative office and re-domiciliate. Subsidiaries are locally incorporated and privately limited companies set up under the umbrella of a parent company. Subsidiaries are legally separate from the parent company and can enjoy tax exemptions like local tax-residents. A branch office is an ideal option for companies aiming at shorter-term market expansion. The parent company is responsible for the activities of the branch office. Please note that a branch office is not a resident entity and cannot avail any tax exemptions. The registration can be done online by the parent company. Representative offices are suitable for companies which want to test the market. The only activities that Representative Offices can conduct is market research and marketing activities, before taking on a full-fledged market presence in Singapore. They cannot enter into contracts or trading activities; and are not taxed as they cannot and do not earn profits. The last option is to change the existing jurisdiction of your business and relocate to Singapore to become a local company instead, as per this relocation guide from ACRA. How to set up a branch of a foreign company in Singapore? The parent company can set up a branch in if it has at least one authorized representative ordinarily resident in Singapore. The branch can start operations once it is approved by ACRA. Are there any additional requirements for some foreign nationals to start a business in Singapore? No, the requirements to register a company in Singapore for a foreigner do not differ from nationality to nationality.